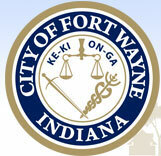 In 2003 the City of Fort Wayne Housing Strategy was adopted as an amendment to the City's Comprehensive Plan. The strategy was the culmination of a year-long process initiated by the City of Fort Wayne's Division of Community Development and private and non-profit partners to rethink and refocus public and private efforts to re-energize the City's neighborhoods. To achieve this goal, Planning & Policy partners with neighborhood residents and other community stakeholders to develop implementable and measurable community development plans. During the planning process, residents, community groups, property owners, and business owners identify and discuss issues, develop goals and create strategies. Plans usually include four basic elements: land use, transportation, housing, and community facilities. Other specific issues identified by community members also can be addressed by the plan. investment;To recommend incentives and initiatives to encourage investment within opportunity areas; and To provide guidance through innovative land use policies. See the plan, appendices and amendment here under Community Planning.